Today we are talking to Stuart Melling, co-founder of the UK-based web hosting provider 34SP.com. Founded in the year 2000 with fellow managing director, Daniel Foster, 34SP.com aims to bridge the gap between top-notch hosting solutions and affordability. Since I personally am drawn to all things of exceptional quality that are offered at an affordable price (and I know I am not the only one), I interviewed Stuart to get a little insight into his hosting service company. CAN YOU TELL ME A LITTLE BIT ABOUT YOURSELF AND WHAT YOUR ROLE IN THE COMPANY IS? Stuart Melling, co-founder of 34SP.com. I founded the company with Daniel Foster, our managing director. My role at the company is business development. It’s a fairly nebulous phrase, it simply means I oversee multiple departments in an effort to improve our business and products. This means on a day to day basis you might find me answering support tickets, working with our marketing and sales team on our affordable WordPress hosting or reviewing our competitors and their products. There’s really no typical day for me as such, I simply try to learn as much about our customers and their needs as I can; and if anyone runs into any issues, I try to make sure we resolve them as quickly as possible. AND THE NAME, 34SP.COM, HOW DID THAT COME ABOUT? Quite simply, in the era we began hosting, it was commonplace to offer a free subdomain to a new client. Back in 2000, all the three letter .com domain names had been taken, and very few four letter domains remained. While the initial choice to use 34SP.com was fairly arbitrary, it has grown to become our beloved and recognized brand. CAN YOU TELL ME ABOUT THOSE EMPLOYED AT 34SP.COM AND WHAT ROLES THEY HAVE IN THE COMPANY’S SUCCESS? Our team are the main differentiation between us and our competitors. We’re in the service business first and foremost, and having a great team who can deliver on our exceptional service and support motto is key. That means everyone from our support team through design and development need to share a singular commitment to our customers. If we have a client experiencing issues, our developers and sales team are just as keen as our support team to deliver a rapid solution. HOW DO YOU ENVISION THE COMPANY GROWING IN THE FUTURE? DO YOU HAVE ANY EXPANSION PLANS? 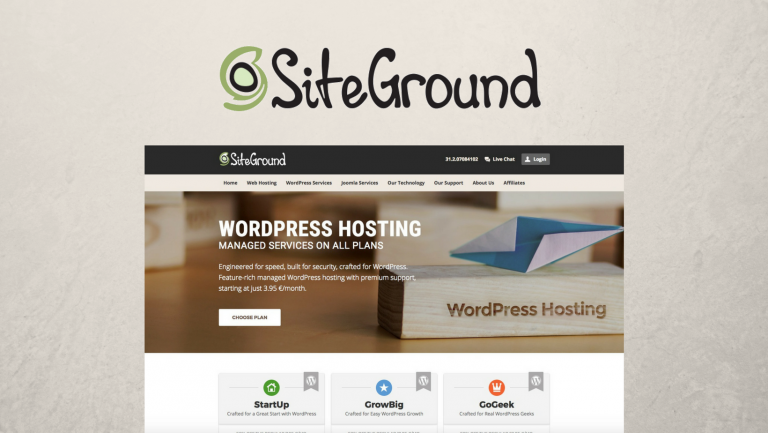 As with a number of hosting providers, managed WordPress is currently a key area for us. In terms of the non-propriety content management systems on the market, WordPress is king. Something like 30% of the web runs on the platform these days. We’ve supported WordPress since it launched in 2003, indeed one of the co-creators – Mike Little – is also a fellow Mancunian; so it’s even that much more special and personal to us. With more than a decade of experience in hosting WordPress websites, we launched our highly optimized, containerised WordPress solution last year, and it’s been performing great for both us and our clients. WHAT ARE YOUR STRONGEST MARKETING TACTICS WHEN IT COMES TO PROMOTING YOUR SERVICES? The team at 34SP.com attending WordCamp Brighton. Word of mouth referrals are the main way we grow. We know that when you use our service, our team will deliver an exceptional experience. If you refer a friend, we also credit your account with free time, plus your friend too. Our actual marketing spend is fairly minimal compared to the hosting industry in general as a result. We tend to put our marketing finances into supporting the communities we operate in, such as sponsoring WordPress WordCamp events in the UK, or local technology meetups here in Manchester. WHAT CHALLENGES HAS 34SP.COM FACED IN THE PAST AND HOW HAVE YOU OVERCOME THEM? It would be hard to pick specifics as the landscape is so fluid. If you’re working in any technology industry you need to be ready for change. You need to be flexible, open-minded and quick to take on new information. The hosting industry can change from month to month let alone year to year. If you aren’t ready to think on your feet, and roll with the punches, web hosting might not be for you. WordPress Hosting: How to Make the Right Choice for Your Clients? WHAT SETS 34SP.COM APART FROM ALL OF THE OTHER AVAILABLE HOSTING PROVIDERS? The Support Team at 34SP.com working hard. As I touched on above, our customer service ethic. I know that’s common for providers to claim these days, but it was anything but when we founded the business over 15 years ago. We truly strive for excellence every single day, but we’re human like everyone else, and we do make mistakes from time to time. If that should happen, we have a very transparent feedback loop for when things go wrong. Every complaint is reviewed by a company director, and we try to see the case from the clients viewpoint. We want everyone to walk away from every interaction with our team, happy and content. CAN YOU GIVE ME A BRIEF OVERVIEW OF 34SP.COM’S HOSTING SERVICES? We’re very much a traditional website hosting provider. We started life as a shared hosting provider, and that still comprises a large amount of what we work with day to day. In more recent years we’ve began to transition to containerised services, and are increasingly heading down that path as it’s simply a better technology solution for most of our clients. We don’t offer Windows-based services in any form, we’re purely Linux based. Therein we offer support for all the major content platforms such as WordPress, Magento, and Joomla – and offer platforms for clients who need more of a blank slate too. Like most hosts we offer domain names and ancillary services like free SSL via Let’s Encrypt. We also believe in clear and transparent pricing. We have no hidden fees, and sales tax is included. The price you see on our site is the price you pay. WHAT KIND OF WEBSITE OWNERS WOULD BENEFIT FROM 34SP.COM’S SERVICES THE MOST AND WHY? Our sweet spot is providing small and medium business owners web site hosting. Depending on the product, we try to manage as much of the website components as is sensible: updates, backups, security and more. We know that business owners just want to get on with running their business, and not have to concern themselves with every small detail of their hosting setup. After all, we were in their shoes as a small business once, we know their challenges. DO YOU HAVE ANY ADVICE FOR SOMEONE JUST STARTING OUT WITH A NEW WEBSITE? Do your due diligence on your web hosting provider. There are many great companies out there but they all have strengths and weaknesses, including ourselves; we aren’t the perfect fit for every single need. We don’t offer Windows based hosting, and we primarily focus on the UK market. That’s not to say we can’t help non-UK clients, we host lots of international sites – but if you need support teams in your local hours, that might be critical. Security – What does the host have in place? Backups – What is on offer if the security fails? Backups are crucial. Performance – What can you expect if your site gets a sudden surge in traffic, will the platform cope? Service – When is the support team available, over what channels and what will they do for you. WHERE DO YOU SEE THE FUTURE OF WORDPRESS AND HOSTING GOING? If I could predict the tech world, I’d be a billionaire by now. In all seriousness, I see the ecosystem and usage continuing to grow. The larger players will continue to become increasingly interested in the space, expect more vertical acquisitions as we’ve seen lately; bigger companies gobbling up plugin and theme developers. 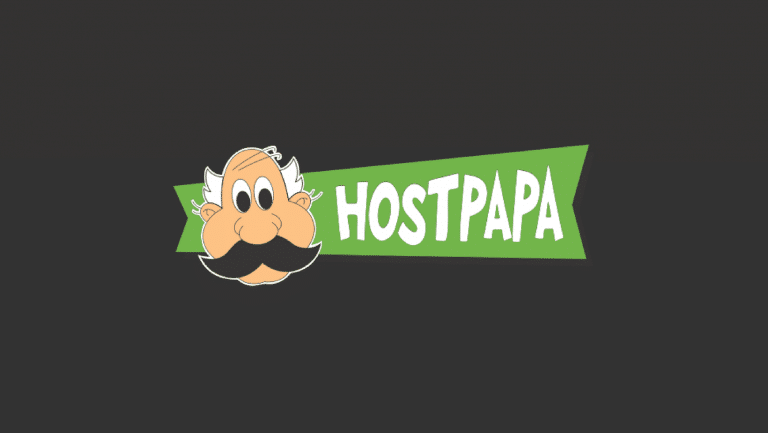 IS THERE ANYTHING ELSE YOU WOULD LIKE TO ADD THAT WOULD BENEFIT THOSE IN NEED OF QUALITY HOSTING SERVICES? Just pop that code into the promo code field at checkout and receive two free months of hosting on our new managed WordPress hosting platform. No strings attached, just signup and check things out, we’d love to know what you think when you do! I would like to offer a big thanks to Stuart for taking time out of his busy schedule to answer all of my questions so that the readers here at WPLift can see what 34SP.com is all about. I look forward to hearing about anyone’s experience with the hosting services provided by 34SP.com. So please share in the comments below!